Rafael Nadal insisted Wednesday that he has immense respect for Nick Kyrgios's talent, and his public scolding of the mercurial Aussie after their stormy Acapulco clash doesn't change that. 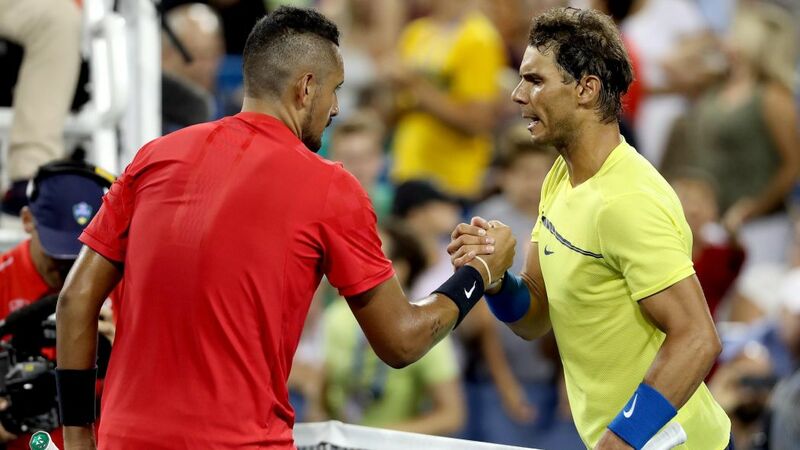 Immediately after the match, 17-time Grand Slam champion Nadal said that Kyrgios -- who complained of illness, served underarm and taunted a pro-Nadal crowd on the way to victory -- "lacks respect for the public, the opponent and for himself." Nadal told reporters at the Indian Wells Masters that he thought his comments may have suffered in translation, but his assessment of Kyrgios hadn't really changed. "I never said nothing too negative about Nick, even if he took it more personally," Nadal said, adding that his comments had nothing to do with the underarm serve, which didn't make him feel disrespected at all. "I understand this part of the game and I think it's a good show for the game, but there's other stuff in my opinion he can do better," Nadal said, adding that he feared Kyrgios's attitude sets a bad example for younger players. "Everybody is free to do whatever they want, but at end of the day, in my opinion, he has an impact on the new generations," Nadal said. "He's young, he's a famous player and in my opinion we need to show good values for the kids." Kyrgios, who jumped 39 places in the rankings to 33 in the world, said last week he wasn't interested in Nadal's opinion. "I heard that he took it very personally. I really didn't see it but somebody told me he put some stuff on his social networks," said Nadal, the second seed in an Indian Wells field headed by world number one Novak Djokovic. Djokovic thrashed Nadal in the Australian Open final in January, but Nadal said he's found plenty of positives in the early season despite failing to bag a title so far in 2019. "More or less I should not be unhappy, all the things I went through the last four to five months to be where I am," said Nadal, coming off an injury-plagued 2018. "Too many issues that happened to my body the last year and a half -- but I managed well to still be competitive and be in a good position in the rankings and fighting for the most important events -- that's important for my mental health too."